Overall giving was down 6 percent through the first half of 2017 as compared to 2016 as 5 percent fewer donors gave as compared to the first six months of last year. The slow start has placed organizations across the country in a hole that only an epic year-end campaign can dig out. The blustery forecast comes from the Fundraising Effectiveness Project and is based on data compiled by a number of nonprofit software providers including DonorPerfect, Neon, and Bloomerang. The report, current through June 30, shows 3.62 million individual donors having given $3.05 billion, as compared to 3.81 million and $3.23 billion through six months last year. Declines in major gifts have been the primary driver of decreased funds as the $2.35 billion in gifts of $1,000 or more is down 8.9 as compared to 2016. In the meantime, mid-level gifts of $250 to $1,000 ($311.43 million) and general gifts of less than $250 ($381.43 million) are up 14.2 percent and 8.9 percent, respectively. Jon Biedermann, vice president of DonorPerfect, hypothesized that pending tax reform could be what’s causing major donors to clam up. The recent run up in stocks has also potentially led donors to delay giving. Fundraising shops would be well advised to remind donors, during the year-end push, of the benefits of giving stock. The complexity of converting appreciated assets into cash to give to a typical nonprofit has helped spur the rise of donor-advised funds, Biedermann said. 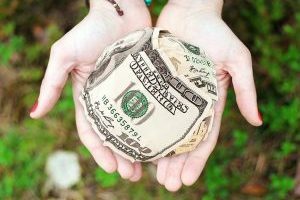 Many donors might have forgotten over the years that giving appreciated assets directly to a nonprofit is a possibility. At the same time, as the sector becomes more dependent on large gifts, it would be wise practice to capitalize on gains at the bottom of the donor pyramid, Biedermann said. Even small gains there can help in the short term and foster relationships for larger gifts down the line. Similar targeting might be possible for reactivated and longer-term retained donors. Repeat-retained donors, non-new donors who gave last year and again thus far this year, have increased by 18 percent to 1.48 million even though the rate is down slightly from 41 percent in 2016 to 39 percent in 2017. Reactivated donors are up 21 percent to just shy of 376,000. Biederman said that it’s not yet time to hit the panic button and the project’s report is not all doom and gloom. Third-quarter figures, to be released in the coming weeks, will provide a better sense of how the year will shake-out overall. The figures, too, might shed some light on the effect of philanthropic responses to recent natural disasters along the Gulf Coast, Caribbean, and in the forests of California.